Year of Establishment in 1987, we, Aravali Engineers, are distinguished entity manufacturing, exporting, supplying and wholesaling Material Handling and Storage Systems. Awarded with prestigious ISO 9001: 2008 certifications, we supply qualitative range of Loading and Unloading Conveyors, Roller Conveyors and Screw Conveyors. These products are well recognized among our clients for their sturdiness, wear resistant, rust proof finishing, ergonomic designs and precise controls, due to their fabrication being done by using high end technology. Apart from this, we also provide installation services known for hassle free and in time execution at competitive market rates. In order to serve divergent demands of customers with maximum perfection, we have incorporated modern age infrastructure system in our premises. Our system is equipped with highly advanced manufacturing, quality inspection and warehouse units for smooth running of production processes. With aid of manufacturing facility containing leading edge machines, we fabricates our products with maximum precision in various stipulations as per latest norms. In addition to this, we make defect proof delivery of products by rigorously inspecting them throughout all stages of production. Moreover, we have gained huge clientele base by supplying these products in tamper proof packaging with utmost assurance of in time deliverance. 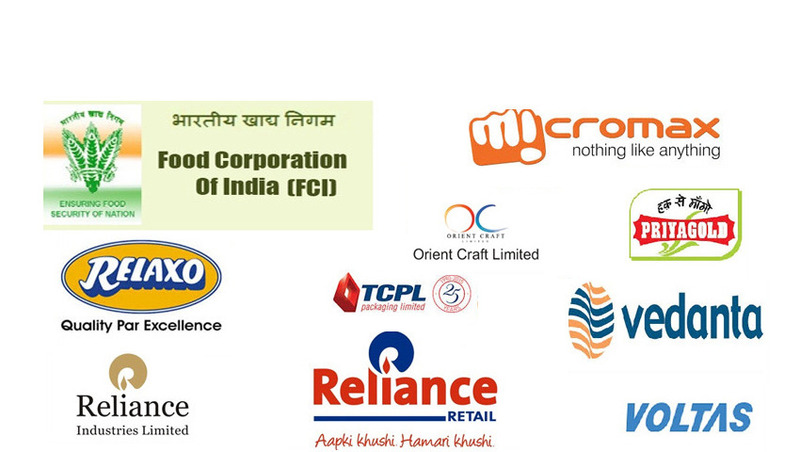 With these prospects, we serve estimable clients such as Hero Motors, Haldiram Snacks and Godrej Industries. Our company has established itself as widely reputed firm under the skillful guidance of our Mr. Kuldeep Garg. With his effectual adeptness in this domain, we have been able to maintain long term ventures with our clients with uttermost satisfaction. Manufacturing and Trading of Commissioning Material Handling Equipments. We are actively guided by our mentor, Mr. Kuldeep Garg. He is an engineer from IIT Roorkee (University of Roorkee). As a graduate in Industrial Engineering, with his knowledge and experience, he is able guide us through the technical intricacies of the industry. With in-depth product knowledge and industry experience of 24 years, he has enabled us offer the best Material Handling Equipment. 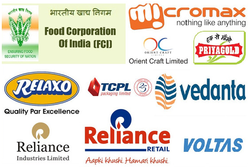 Thus, we are able to cater to the diverse needs of many prestigious clients all across the nation. Our company is regarded as an expert in offering huge gamut of Material Handling Equipment. We are fully equipped with all the necessary tools and machinery to manufacture and supply these products. With the help of highly advanced technology, we are able to offer custom made solutions that fulfill the needs of various industries. Our expert and skilled workers take into account the prevailing standards of the industry and offer the most suitable range of products. Our company is actively supported by a robust team of expert professionals. They come from an industry rich domain and in-depth process knowledge. These personnel strive to analyze the diverse needs of our clients and offer the most appropriate products and services. Further, they work in close tandem with each other in order to attain the goals of the organization. We conduct periodical training and workshops to keep them abreast with the latest technological developments taking place in the industry. We believe in conducting highly professional and ethical business practices that have brought us so far today. With our experience of more than two decades, we now have a strong foothold in our industry sphere. All the positive factors and innumerable plus points have gained us a vast client base. Mr. Kuldeep Garg, an engineer from IIT Roorkee (formerly known as University of Roorkee) completed his degree in Industrial Engineering in 1980. He then worked for reputed organizations like - Dianora TV, Danfoss. His experience during this period was as an incharge of improving the material flow and improving the material handling in the organization and successfully completed many projects. During the course of his experience, he realized the dire need for material handling equipments in the industry and started out with Aravali Engineers to cater to this need of the industry. During his 24 year journey with the company, he has successfully completed many material handling projects, many of them being challenging situations that required custom made solutions. Since the inception, our endeavor has been to revolutionize the way in which material handling is done in industries thereby saving precious time and labour. Towards this endeavor we provide turnkey solutions, from concept to commissioning, and catering to almost every industry in the manufacturing sector - Steel, Electronics, Footwear, Food & Agro, General engineering, Automobile, Power, Foundry, Sugar, Paper, Drugs & Pharmaceuticals, Ceramics, Textiles, Chemicals & Fertilizers etc. To further this endeavor we are trying to become a one stop shop for all material handling needs and consequently, have added a gamut of products to our catalogs. In case, our standard products do not fulfill a particular requirement, we are always eager to develop custom made products to fulfill any particular requirement. We design and develop conveying and handling solutions custom made to fulfill the requirements of the process/application. Our 23 years of experience in designing and manufacturing material handling equipments, ensure that systems developed by us are reliable and fool proof. Well qualified & dedicated team of designers and production engineers ensure optimum product quality. Modern designing & simulation facilities for testing of equipment and new designs using 3D modelling, CAD & conveyor design and testing softwares. Well equipped work shop housing modern machinery for fabrication and surface finishing. Multistage quality checks during production and product dry runs before delivery to ensure trouble free running over the product life. From its inception, Aravali Engineers has many projects under its belt. Drawing upon past experience we have carved a niche for ourselves and have honed the skill of anticipating and understanding the client’s requirements, and always hit bull’s eye with our strategy.